Wonderful blouse with pretty details from OBJECT. The blouse is made from a glossy fabric and has a great quality – the perfect choice for both everyday and party wear. 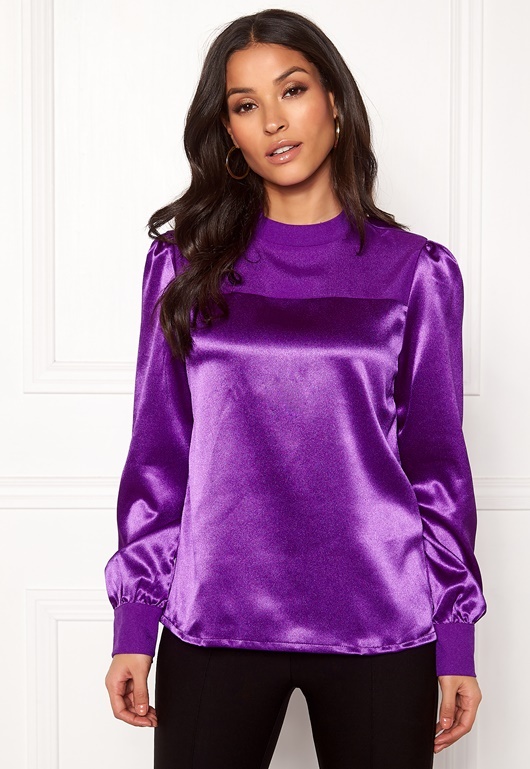 - Nonstretch, woven quality - Round neckline - Concealed back zipper - Cuffs with golden buttons - Puff sleeves Back length from shoulder 61 cm, bust 94 cm, sleeve length from shoulder seam 61 cm in size 36. The model is 172 cm tall and wears a size 36. Machine wash at 30 degrees (delicate wash).